Imagine you’re sitting in a classroom and all the teacher does is stand in front of the smart board, project his or her notes, and read them verbatim. Like most people, you’re likely to be bored out of your mind. But classroom education doesn’t have to be mind numbing! Using game-based learning in the classroom helps engage students by directly involving them in the learning process. The result? Improved retention of material, increased student engagement, and an overall enjoyable learning environment. Let’s take a look at how to successfully use gamification in the classroom. What are the advantages of using games in the classroom? Attitude plays an important role in how well students are able to recall the material they learn. If all you do is ask students to read 40 pages a week from a dusty bio textbook, review PowerPoint slides, or study flashcards, they’re going to quickly forget everything they “learn” — and try to move on from the trauma of memorizing the steps in the DNA replication process. Classroom games (especially video games) encourage creative thinking and problem-solving. Ultimately, they help students recall information better, especially if they’re visual learners who like to see the concepts they learn come to life. Let’s say you’re teaching a history class and have assigned your students a chapter from a textbook on the forms of government (yawn). Reading and note-taking are certainly important skills for students to practice, but those alone won’t guarantee they’ll remember everything come exam day (or even beyond your class). A better approach? Combine readings and traditional lecturing with interactive classroom role-playing to help cement the material. For example, you could split your students up into different groups of governments (democracy, monarchy, dictatorship, etc.) and present them with a relevant social issue. Then, ask them to draw from their readings to create a short enactment of how their type of government would respond to that issue. Students could even debate the merits and drawbacks of each type of government. This kind of memorable and engaging experience will stick with students well beyond your class. Good games help us develop essential problem-solving skills. For children and teens, this is an especially important skill to learn early on, as it’ll serve them well into adulthood. Regardless of what you’re teaching, the key is to get students thinking and answering questions, not just reading and memorizing. There are tons of ways you can make your class’s material relevant to the real world. Get creative! How do you measure whether students understood their readings or your lectures? You could quiz them the old-fashioned way, but some students are so intimidated by quizzes or outright bored with this traditional approach that they end up underperforming on these assessments. Classroom games not only improve student engagement but also give you instant, valuable feedback on how well students are really doing — because fun games open up even the shyest of students and get everyone involved. If you’re teaching students about the wonders of cartoonish architectural warfare, perhaps Fortnite may be relevant in your classroom. But otherwise, not so much. Ease of use. Students shouldn’t have to sift through manuals and YouTube tutorials to figure out what you’re trying to get them to do. Effective classroom games are simple and to the point. At the same time, they need to be sufficiently challenging so class time isn’t wasted on trivial activities. Engagement. If it’s a new class and you don’t know your students too well, consider distributing a survey at the beginning of a unit to determine what type of activity your students would like to do. With a platform like Classcraft, for example, you can immerse students in a colorful and engaging RPG world written by none other than you. Whatever game you settle on needs to actually be enjoyable for most (if not all) students. Otherwise, what’s the point? Customization. What kid doesn’t want to play as a Warlock rocking elder robes and spells while also learning about the structure and function of DNA? The best classroom games allow students to learn the material while giving them the creative freedom to express themselves in their own unique ways. Purpose. Engaging classroom games also have meaningful and tangible goals for students to complete. 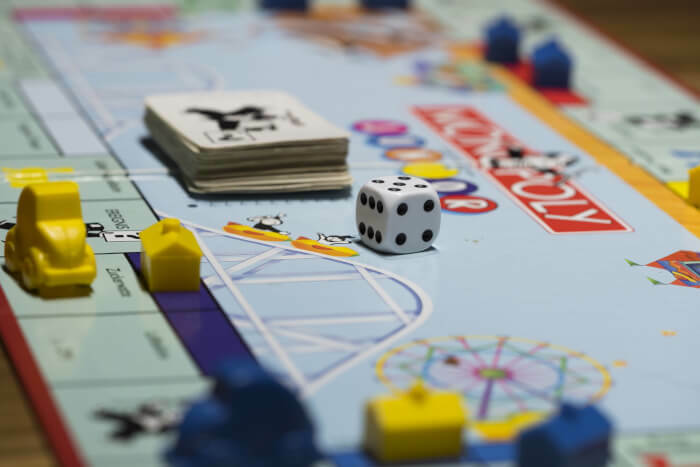 In other words, you don’t want to give your students games just for the sake of entertaining them — the games you settle on should combine fun with deliberate and well-designed lesson plans. For classrooms specifically, you may want to consider some combination of educational video games, role-playing group activities, or exploratory labs to engage students in the material they’re learning. So, you’ve picked an appropriate and engaging classroom game, and your students are bubbling with anticipation. Now, you need to actually put your game to use in the classroom. Follow these steps to ensure success! This sounds obvious, but it’s true. Are your students going to play every day or only on certain days? Before or after lectures? For how long? At home or in the classroom? How you administer the game is certainly up to you, but we’ve found that students are often so eager to play classroom video games that they end up asking for extra home assignments involving these games (yes, you read that correctly — students asking for more homework). In that case, we recommend you get students’ parents on board and make sure they’re aware that these games are being used as an essential component of their children’s coursework. With the availability of smartphones and handheld devices, digital games are very popular among children and teens; these are an obvious choice for classroom games if your school has a computer lab or in-class devices. If digital games won’t work, you can use other kinds of in-class activities to get students out of their seats and eager to participate, like group labs, in-class presentations, Jeopardy-style assessments, and more. To that end, consider if you’d like your students to work independently or collaboratively. Most students are vocal and active in group work, and this allows them to develop their social and interpersonal skills. But not every size fits all — other students do prefer independent work. And in some classes, group work simply doesn’t make sense. Bottom line? Make sure the format you decide on works for you and your students and is easy to implement. At the end of the day, you need to make sure the games you implement are actually helping students master the content and make progress in your classroom. With educational digital games, it’s especially easy if your students have their own accounts and a built-in means of measuring progress and participation, like XP (Experience Points) earned. These metrics usually correlate well to the amount of effort students put into practicing the concepts they learn in class. Moreover, even though you’re the sole authority in your classroom, students should have some say in how they learn. If you find that some students are struggling with the format you’ve chosen, you should seek feedback from everyone to ensure that your games are working well. For example, if difficulty doesn’t scale well and some students are consistently underperforming, you can split your class into tiered groups, where each tier receives challenges and activities that match its level of proficiency. What educational game sites are good for the classroom? There are plenty of platforms out there that you can use with your students. Of course, since this is a Classcraft blog, I’d like to briefly mention how things work with us. Essentially, we help instructors develop engaging, story-driven lesson plans and improve student behavior and performance. You get the same level of control over your classroom as you would with a normal learning management system — but the actual process of developing and delivering the content is more fun for both you and your students. Check out our section on Classcraft for teachers if you’re interested in learning more. Nearly everyone is playing games outside the classroom — why not play them in the classroom, too? After all, the paramount goal of education is to remind students that learning is a fun and worthwhile endeavor. With classroom games, your students gain valuable computer literacy and social skills, retain more of the content you teach them, and come to class excited to learn. Aleksandr is a freelance editor and writer pursuing a Bachelor of Science in computer science at the University of Florida. His passion for programming and writing extends well beyond the classroom.